"took a few hrs to go to monterey bay aquarium. had a wonderful time. 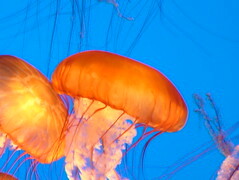 a short time with the jellyfish and you cant help but be giggley." Two Americas: One Rich, One Poor? Why so many VC Blogs?